A Harvard research team led by biologist Douglas Melton has retracted a promising research paper following multiple failed attempts to reproduce the original findings. In 2013, researchers from the Harvard Stem Cell Institute discovered that a hormone found in the liver spurred the production of insulin-producing cells in mice. 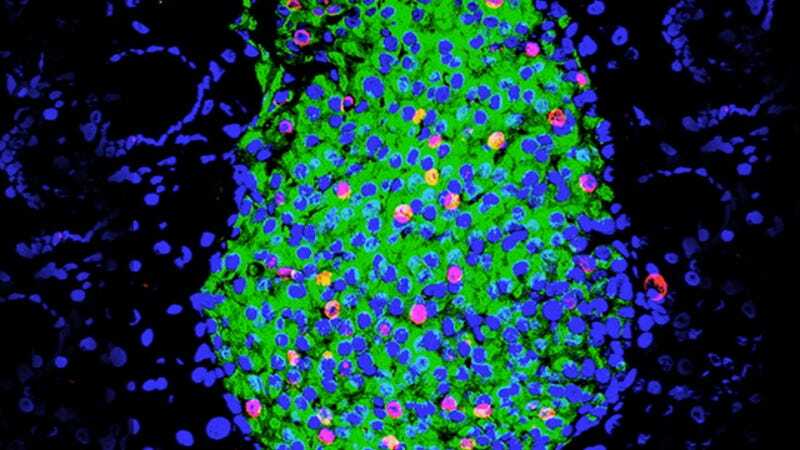 It was lauded as groundbreaking work—one that hinted at the possibility of restoring a person’s ability to produce insulin using their own cells, finally freeing diabetics from having to take regular injections. At the time, it was thought that human transplantation trials were only a few years away, and that a functional cure to Type 1 diabetes had essentially been found. As reported at Retraction Watch, Melton and his colleagues have decided to pull the paper from the journal Cell following multiple failed attempts—both by the Harvard Stem Cell Institute scientists and others—to reproduce the original findings. In 2013, the researchers showed that a hormone produced in the liver, dubbed betatrophin, had a positive effect on insulin production. This effect has not been reliably replicated since. The retraction comes on the heels of numerous articles and independent studies casting doubt on the original findings, prompting requests for a retraction as early as 2014. But Melton refused to give up, running experiments on greater quantities of mice and recruiting researchers from other labs to run blinded studies. Neither Melton’s efforts, nor those of independent researchers, could reproduce the results. In June 2016, the authors published an article in the open access journal PLOS One stating that the original study had deficiencies. Yet this peer-reviewed admission was not accompanied by a retraction. Until now. True enough. Each experiment, successful or not, takes us a step closer to an actual cure. Note: A previous version of this article incorrectly pointed to a 2014 study by Pagliuca et. al. as the study being retracted rather than the 2013 study by Yi et al, which was retracted. We regret the error.